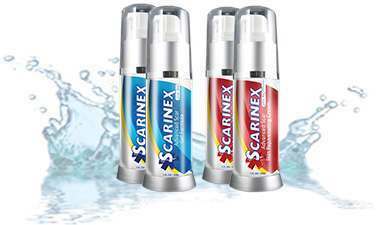 Why is Scarinex™ Scar Gel So Effective in Scar Removal? 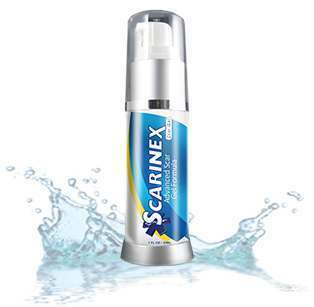 Scarinex™ Scar Gel is a completely invisible product that helps reduce the redness, swelling and pain that comes from scarring. Both the rejuvenating solution and the scar gel are applied directly to the skin. Unlike silicone sheets they adapt to the body and allow you to move and continue with your daily activities without worrying about toxins entering the scar. The outer layer of the skin, called DERMIS, is comprised of skin cells. Since the scar removal gel is applied first, it prevents moisture from coming in, and works from inside to rejuvenate the inner skin cells. Then, when the cream is applied, it goes to the surface layer and is then responsible for giving nutrients to the skin which are needed to fade the scars, thus rejuvenating the skin cells. 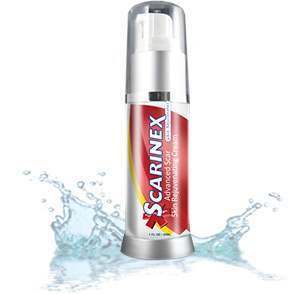 Scarinex™ Skin Rejuvenator works to give the nutrients your skin needs to fade the scars while the Scarinex™ Scar Gel creates a flexible protective barrier over the scar which helps to retain moisture and allowing the scar to heal quicker. Numerous studies have proven than silicone is the most important and effective ingredient used in the treatment of scars. 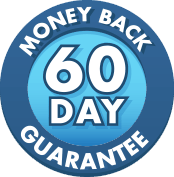 Silicone scar treatments have been used for years to treat scars by doctors and plastic surgeons alike. So, what makes Scarinex™ Silicone Scar Gel the most effective on the market today? Not only does Scarinex™ use only medical grade silicone, it also uses a proprietary blend of 5 different types of silicone. This enables Scarinex™ Silicone Gel to create a superior protective barrier which in turn gives the fastest relief time and the most powerful solution. Scarinex™ Scar Gel uses only 100% medical grade silicone - the same as those highly used by doctors and plastic surgeons. What's more, Scarinex™ Skin Rejuvenator contains an unique proprietary blend of ingredients formulated to help with cell and tissue regeneration while fading the scar. Backed by over 50 medical studies proving the efficacy of its ingredients, Scarinex™ is the gold standard for scar removal. Scarinex™'s key ingredients have been scientifically recognized for their restorative benefits. The proprietary blend of vitamins, minerals, and herbs is what makes Scarinex™ Scar Gel so effective. The ingredients in Scarinex™ Scar Gel have been hand selected for their effectiveness and regenerative properties.